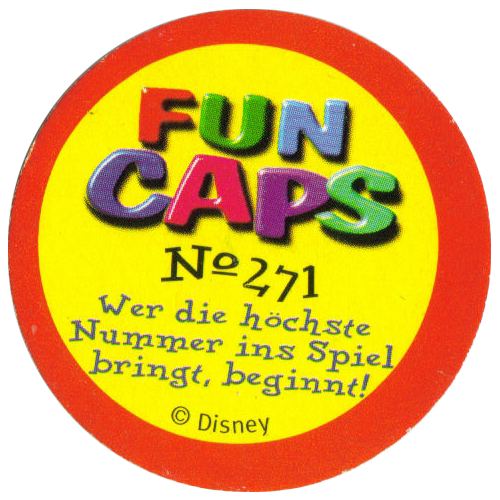 Info:These caps come from the 5th set of Donald Duck Disney Fun Caps produced by Ehapa. 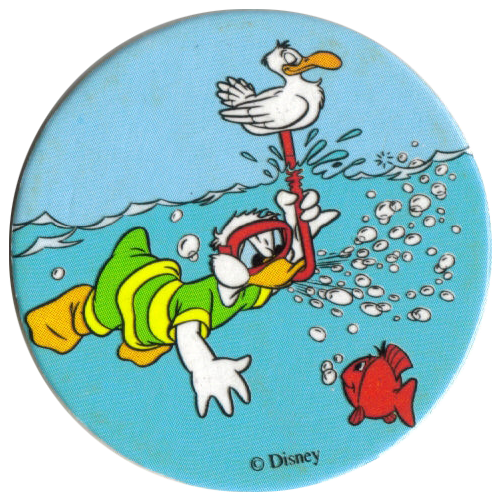 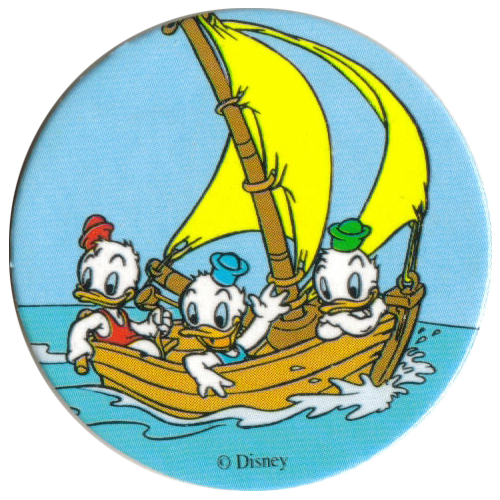 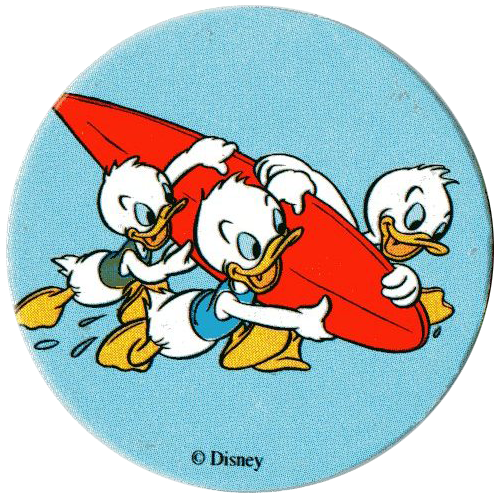 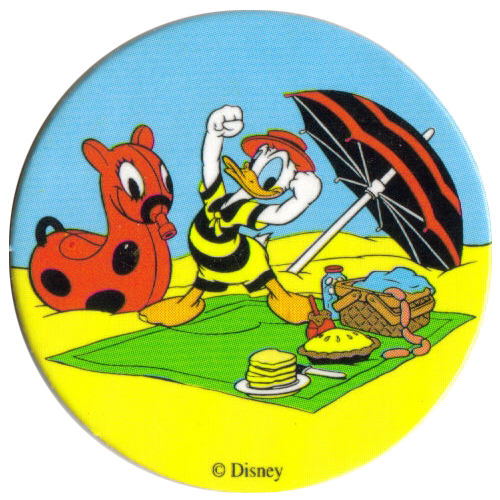 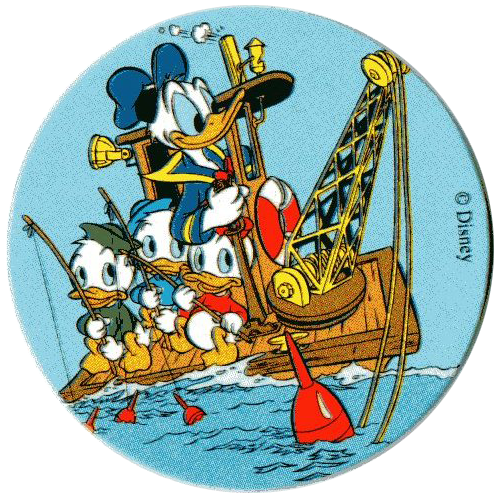 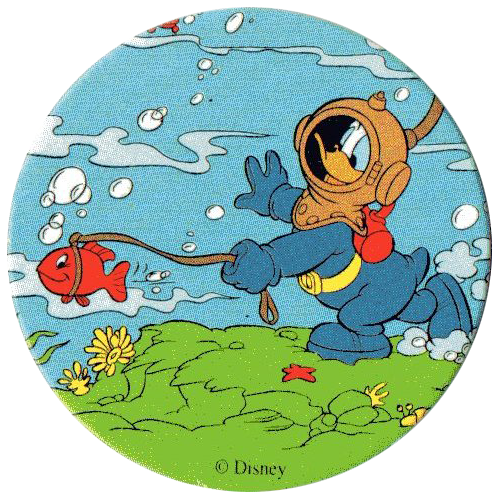 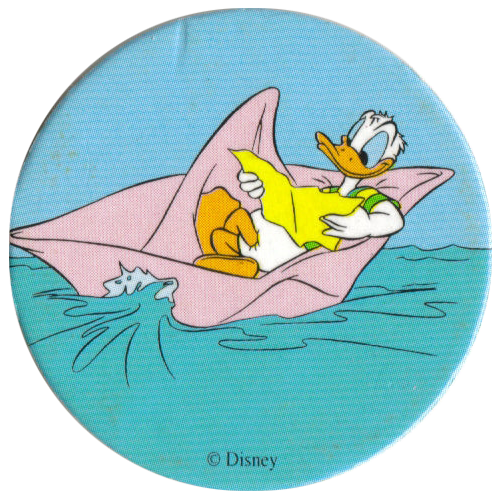 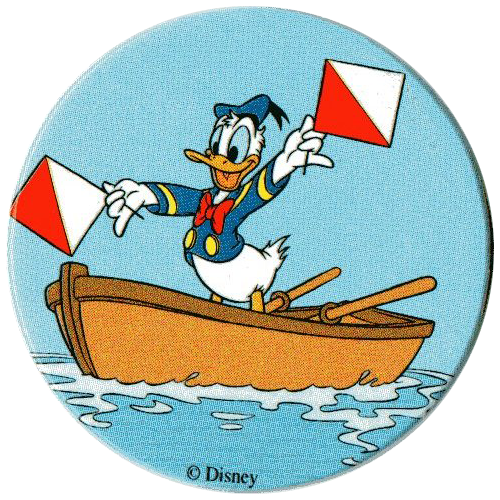 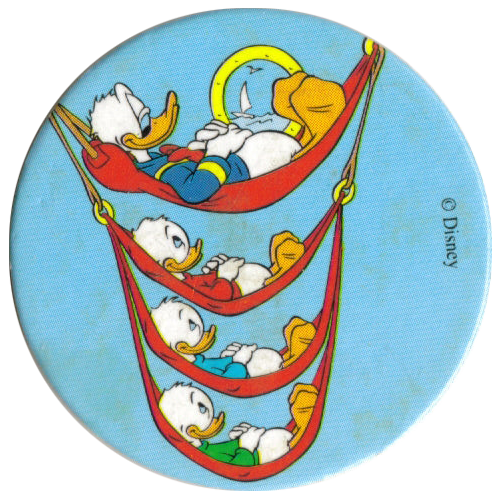 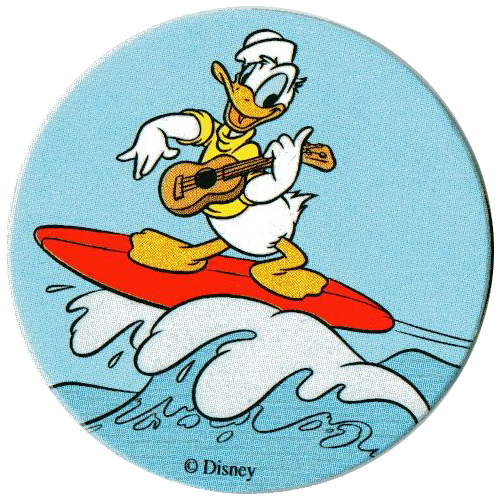 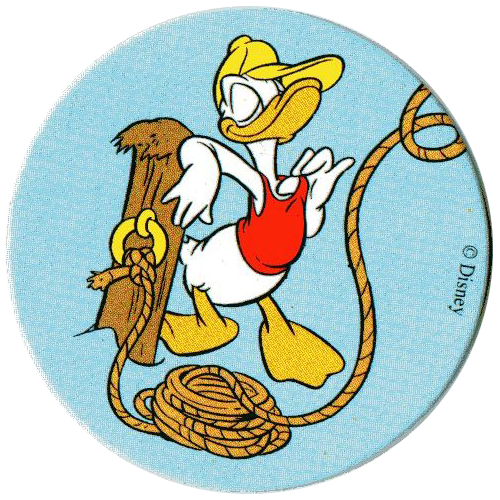 They all feature Donald Duck in a variety of situations, sometimes with his nephews Huey, Louie, and Dewey. 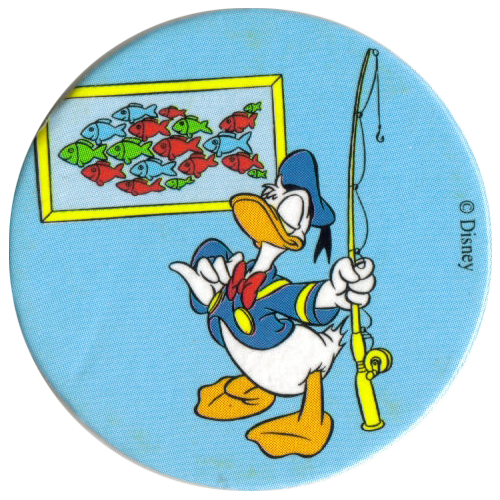 The pogs are numbered from 271 to 300 and have blue backgrounds. 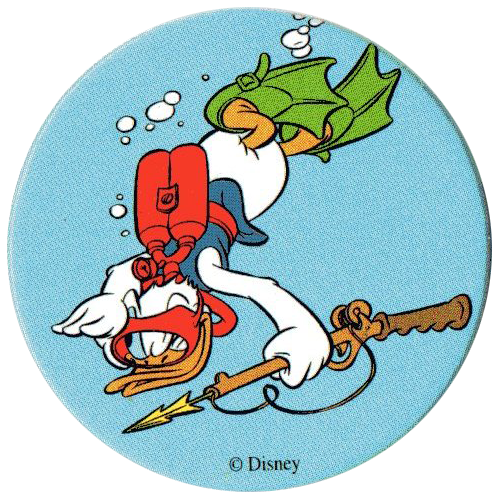 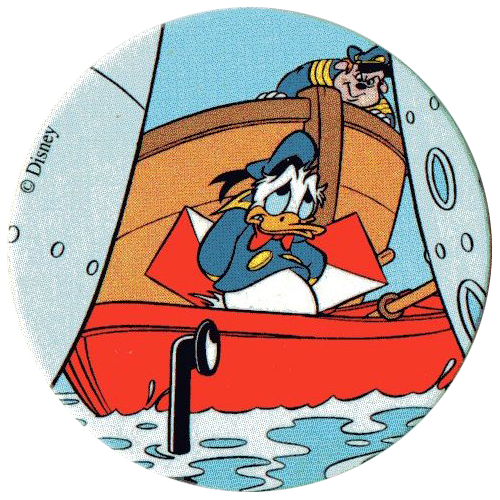 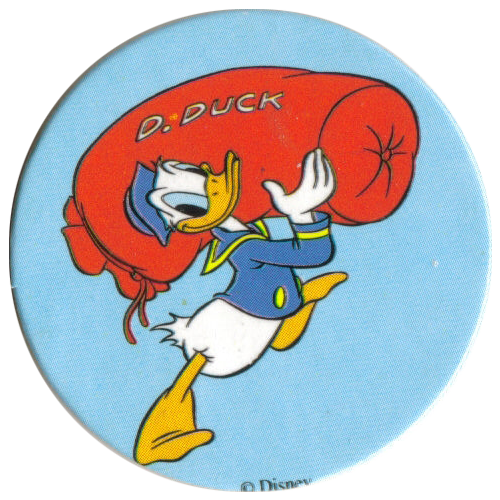 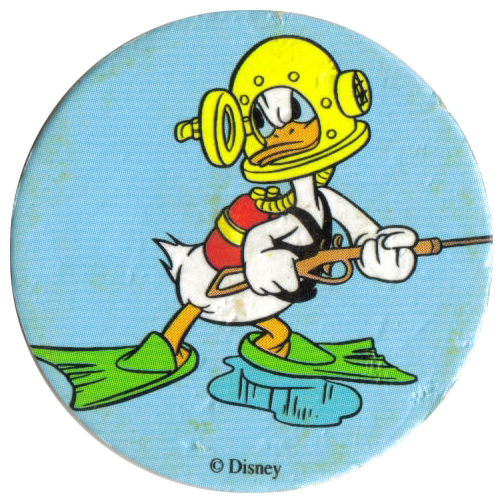 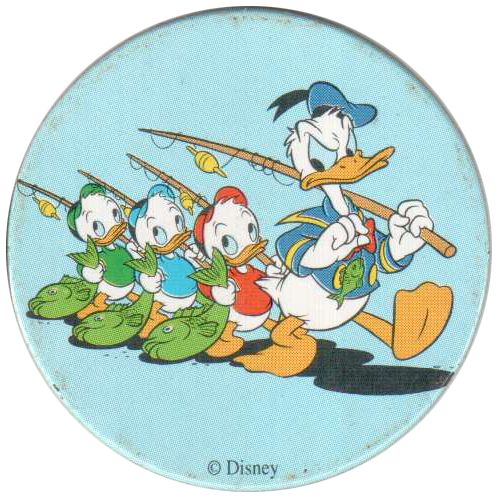 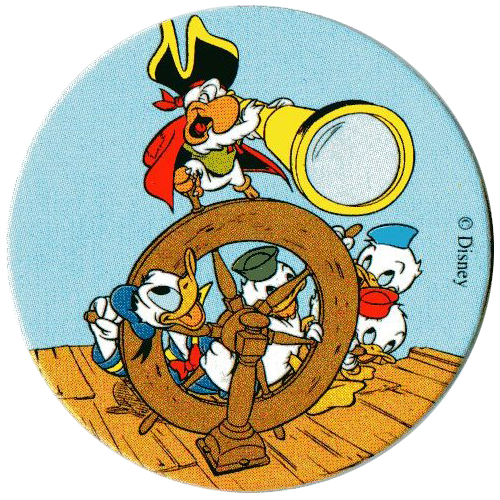 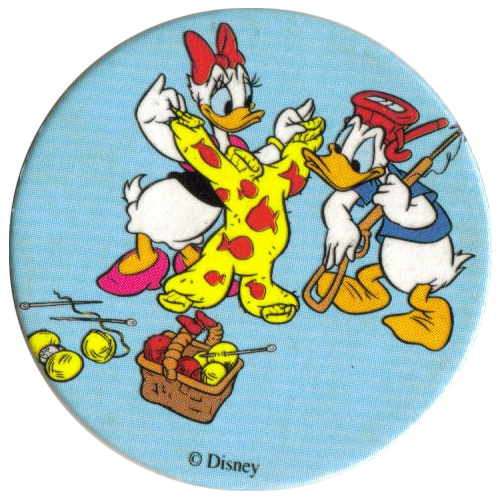 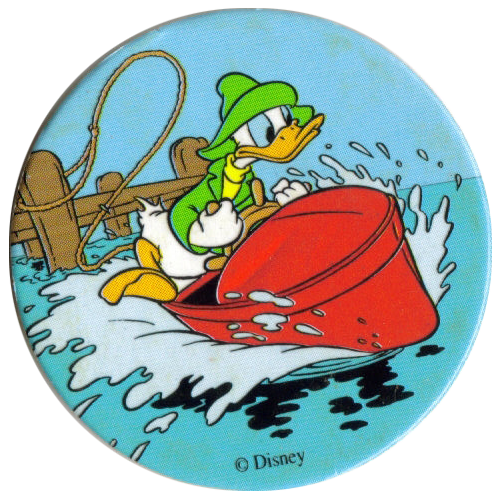 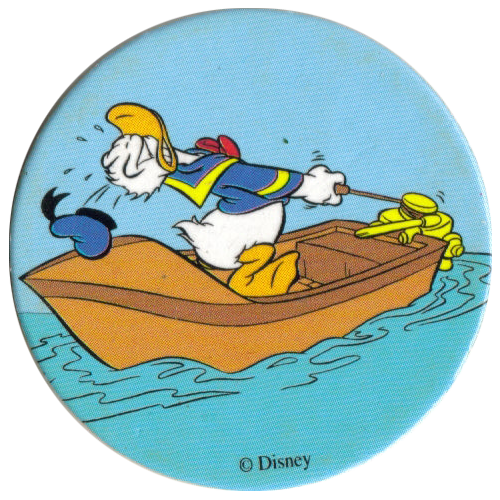 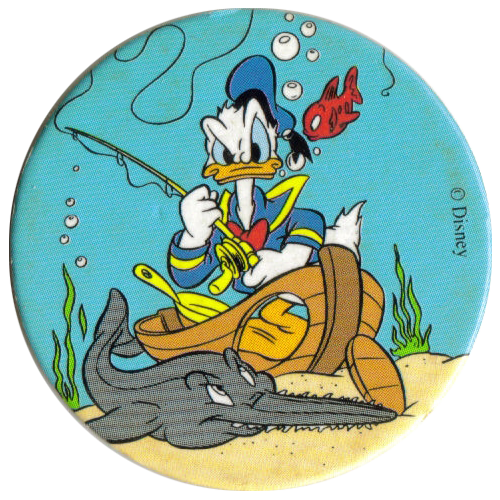 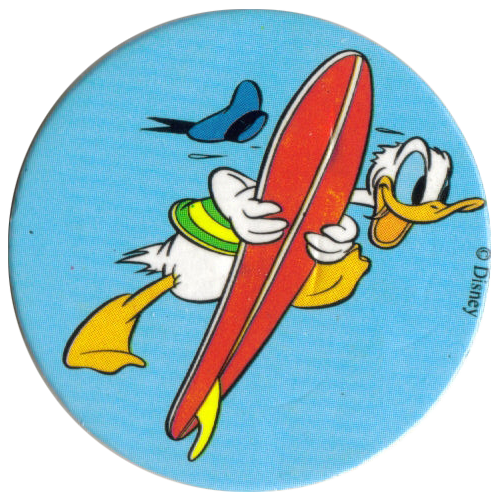 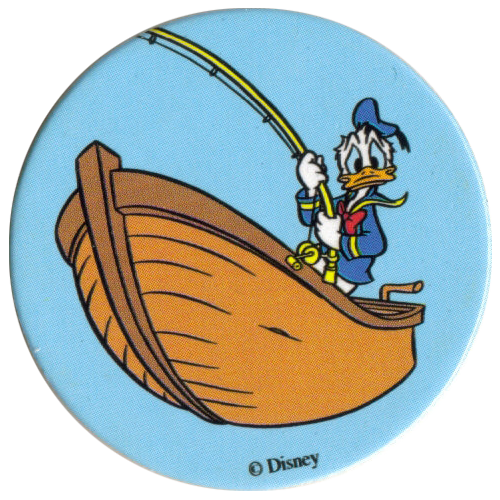 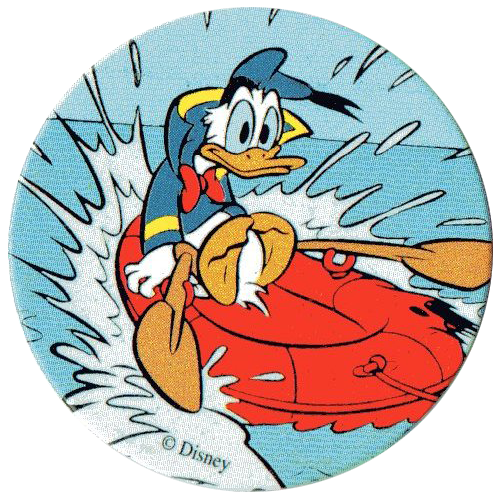 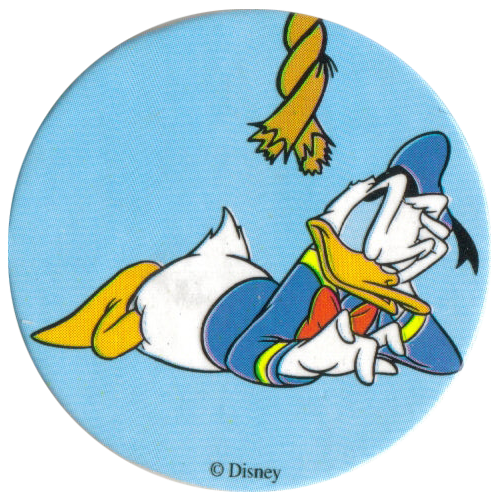 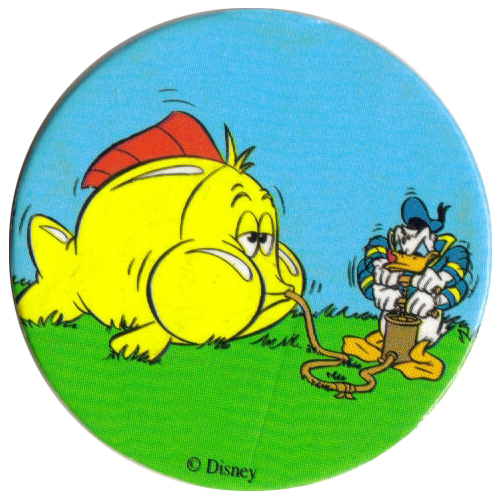 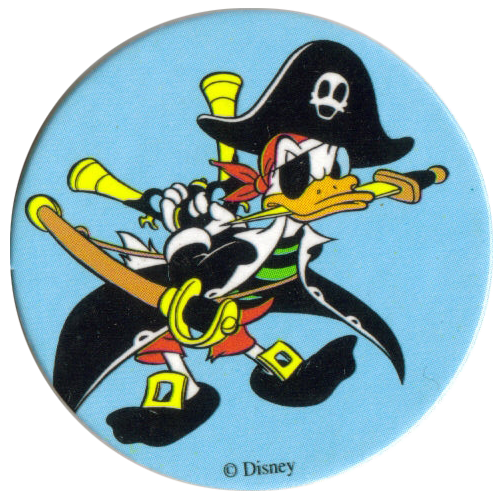 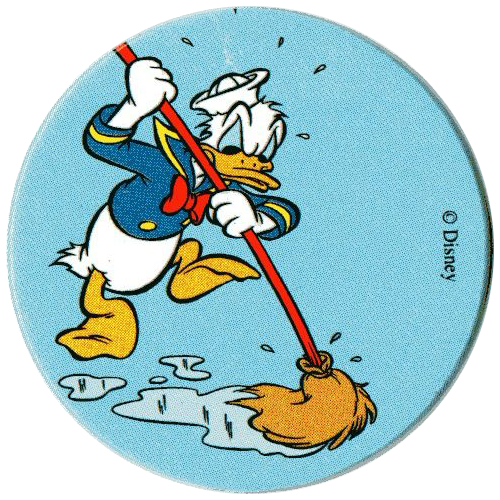 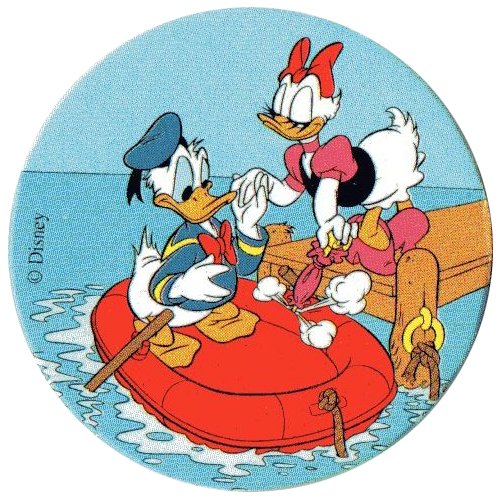 Thanks to Silke and Pavel Chugaynov for the scans of these Donald Duck Fun Caps.